I have been researching my Ashby line (see Surname Saturday ~ Ashby) and I found a few Find A Grave memorials for some of my Kentucky ancestors. 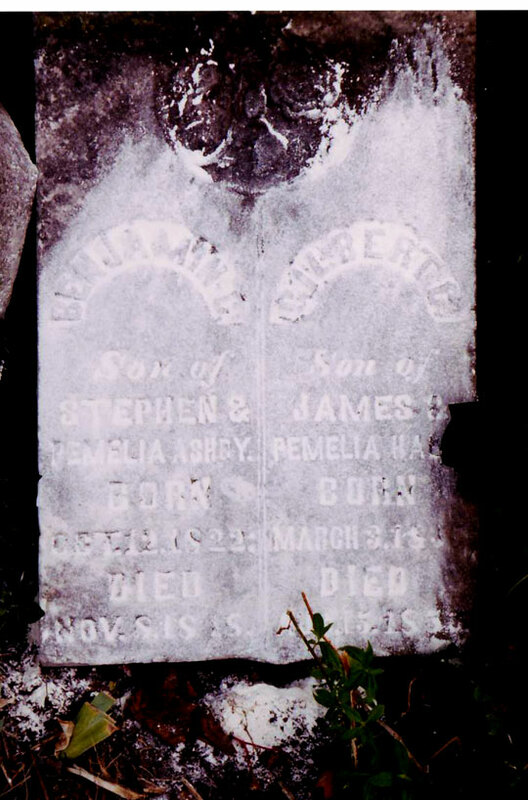 The biggest find was at small Hall-Harlow Cemetery in Glasgow, Barren County, Kentucky: a memorial for Benjamin C. Ashby (1822-1848), my 3rd great-uncle. Photo courtesy of Martha and Daine Harrison; used with their permission. and obtaining the permission to share this photograph on my blog. and there was another name on Benjamin Ashby's stone. Gilbert C. Hall (1835-1850) was a half-brother to Benjamin. Their mother was Permelia (Christian) (Ashby) Hall, my third great-grandmother. Devon - couldn't have said it better myself! Thanks for reading and commenting.